Listen just for a gist to this extract from a radio programme presenting writers Lesley Morris and Wendy Johnson who have just published two interesting books about tourism. At this first step, just listen for general comprehension and don't worry if there are some words you don't understand: you should be able to get the general idea. Then try to answer these two questions below. Finally check the correct answers. What is Wendy Johnson's book about? 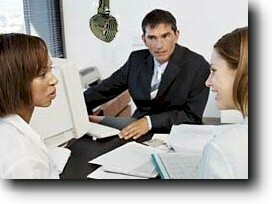 Now look over these notes about the interview you have just listened above. What information seems to be missing? The missing information is contained in the radio programme. Listen once again – twice if necessary – and complete the notes by writing one word only in each gap. Then check the correct answers. tour and father of the modern tourist industry. and later to Italy, where she lived for 22 years. East, calling herself ' of the '. and visited famous places described in the . ► 15th century: records of women travelling alone on . time to spare, went independently.